Our 2 Days / 2 Nights Thailand Liveaboard Cruise on MV Giamani is the best way to fully enjoy Phi Phi Islands Diving. You will be able to dive the best Phi Phi Islands dive sites avoiding the crowds, improving the chances to see the black tip reef sharks! The sea during Summer can sometimes be choppy during navigation, however, most of the dive sites are on the east side of the islands sheltered from wind and waves allowing us to dive comfortably and safely. On Wednesday you will enjoy our selected Phi Phi Islands diving sites, and in the evening you will have the chance to visit the charming Phi Phi Village for a couple of hours and have a few drinks before returning to MV Giamani for the night. 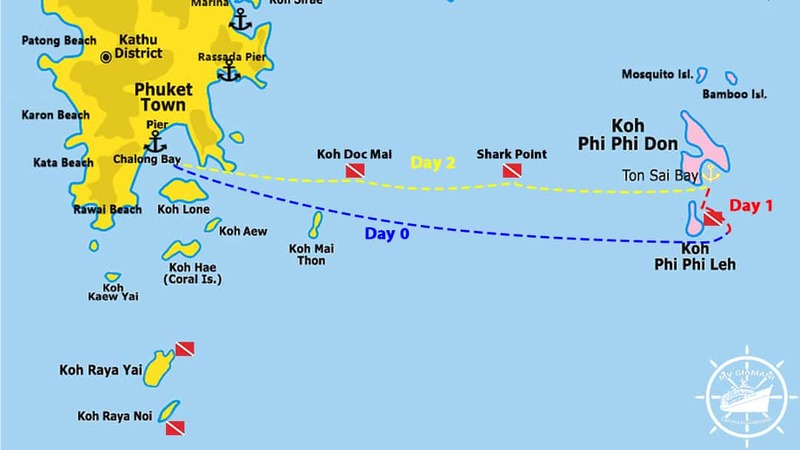 On Thursday will have one more dive at Phi Phi, then move for two more dives between Shark Point and Koh Doc Mai before cruising back to Phuket Chalong Pier in the early afternoon. 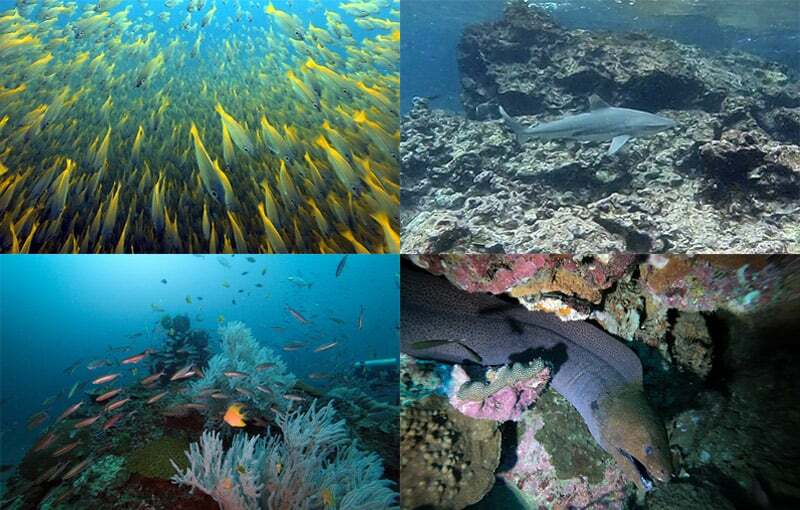 See below the full itinerary for this MV Giamani Phi Phi Islands Diving Liveaboard.